Before launch, the revolutionary Ouya was massively hyped which may have led to its lukewarm critical reception. Most microconsoles aim to please casual gamers. Before launch, the revolutionary Ouya was massively hyped, which may have led to its lukewarm critical reception. The tiny box was successfully crowdfunded, and emerged as a new breed of game console: the microconsole. These devices are defined by a small footprint, and the ability to meet a range of multimedia needs, though as with the Ouya, they’re often game-centric. However, most microconsoles aim to please casual gamers, as they typically don’t feature massive game libraries. The Ouya however boasts an impressive list of ports as well as original games. Powering the Ouya is an Nvidia GPU and quad-core 1.7 GHz ARM Cortex-A9 processor. Ok, so you won’t win any benchmarking tests, but that should be sufficient for gaming, as you won’t be multitasking. I recently explored some awesome new microconsloes, and with their rise in popularity, I thought it only fair to give the Ouya another chance. One of the biggest complaints when the Ouya debuted was performance. 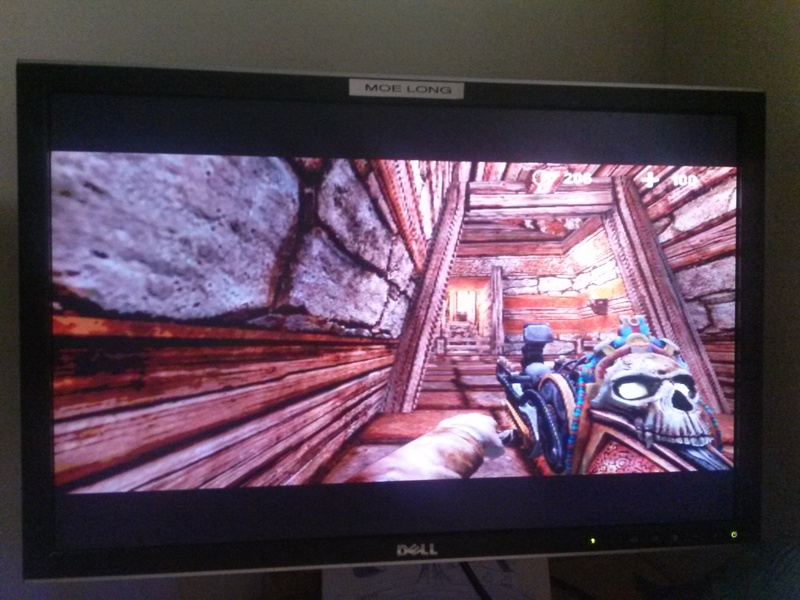 The first game I loaded up, “The Ball,” was powered by the versatile Unreal Engine. Graphically, “The Ball” falls somewhere between Playstation 2 and Playstation 3 level graphics. There were minor visible artifacts, but nothing atrocious. I didn’t notice substantial lag while playing, which some reviewers noted during the Ouya’s initial launch. Browsing the game store, I was pleasantly surprised by both the size, and variation, of the library. Available titles ranged from “Pinball Arcade,” and retro-modern hockey game “Ice Rage,” to “The Bard’s Tale,” “Sonic CD,” and “Final Fantasy III.” There were even several newer titles, like “Broken Age,” and “The Walking Dead.” I was pleased to see a few emulators, including Nostalgia, a hugely comprehensive app. Just load up a few roms, and you’re playing “Goldeneye 64” or “Teenage Mutant Ninja Turtles: Turtles in Time” on your Ouya- no need to blow into any dirty cartridges. There are even several exclusives, like the fantastic “Reagan Gorbachev” that imagines the two political leaders in an alternate history where the two ban together. Well done, Ouya developers. For gamers, the Ouya is fairly capable hardware, but newer microconsoles like the Mad Catz M.O.J.O. and forthcoming Nvidia Shield TV are much more powerful. The M.O.J.O. even has access to the Ouya store, and its hardware boasts 4k support, a definite improvement over the Ouya. It’s a feature made possible through Ouya Everywhere, and the M.O.J.O. is among a select few consoles officially sanctioned for installation. Plus, it’s only $59 more than the Ouya. Likely, gamers looking for a microconsole will opt for the one of these recent devices. Yet the Ouya contains a neat feature that microconsoles have yet to introduce, and that’s a developer community. Ok, to there are Android game developer communities spanning the internet, but even from the main menu of the Ouya, there’s a “Make” link. Essentially, each console is a dev kit, which is a huge benefit. Theoretically any Android-based microconsole will be easy to develop games and apps for, but it’s nice that Ouya offers easy to use tools, like AIDE. Is the Ouya worth buying for the average gamer? Probably not, though its low price tag ($99) and a handful of exclusives like “Reagan Gorbachev” ensure the Ouya has remained fresh. 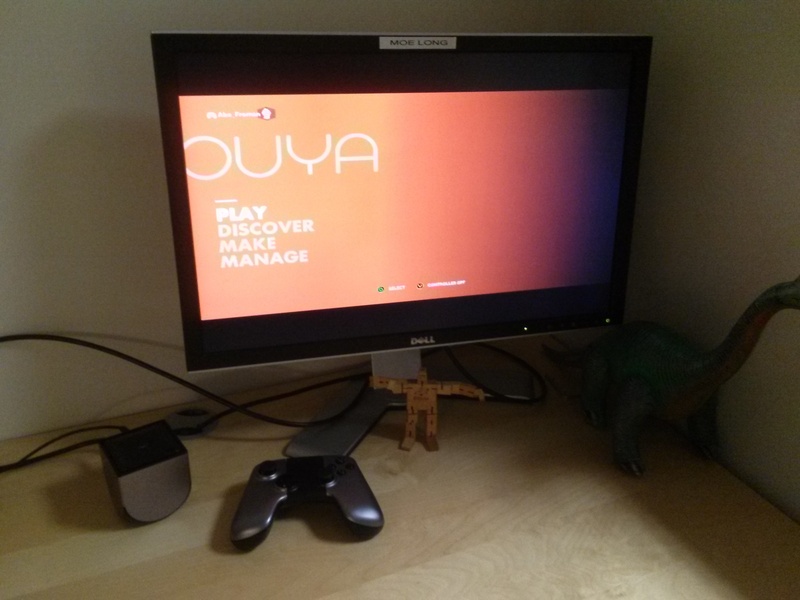 Heck, after borrowing my colleague’s console, I might just go snag an Ouya for myself. The real benefit, though is for developers. The Ouya 2, if one ever comes out, should be a solid contender on the mirconsole front. Love the Ouya? Hate it? Leave a comment below or Tweet your thoughts at us, and happy gaming!